We know what you’re looking for when you go on vacation. The Cayman Islands are an escape into paradise, and any vacationer wants their time here to be memorable. At The Residences Seven Mile Beach in Grand Cayman, we go to great lengths to give you the getaway of a lifetime. Consider an activity like a Grand Cayman dinner cruise to make your stay unforgettable! Discover even more things to see and do on the island when you access our complimentary Vacation Guide. Where Do I Go on a Grand Cayman Dinner Cruise? Red Sail Sports is known for their Caribbean excursions, including their dinner cruise. Board their 65-foot catamaran for an evening you won’t soon forget. This trip includes a sail before dinner to watch the sunset, then dine under the stars as you enjoy a multi-course dinner prepared on board. This Grand Cayman dinner cruise departs right from Seven Mile Beach, so it’s a very convenient option. We recommend Cayman Luxury Charters to our guests because customer service is their number one priority. They will cater to the needs of you and your group so you can design your own excursion! Charters can be booked as a full day or a half day, so you have the option of a half-day dinner cruise in the evening. If you would like meals included, they can set up catering or take you to a restaurant right on the water. Oh Boy Private Charters offers the option of both a private charter catered to you and your group or a sunset dinner cruise. The sunset dinner cruise brings up to ten people on a beautiful ride through the waves before docking at Kaibo Beach. Dinner includes Cayman-style mahi-mahi, local tunes, and beautiful views. If you want to add dinner to your private charter, you can do that, too! Dive into the deep and catch your own lobster for them to prepare for you or have them make sure dinner is on board. They’re also known for their preparation of fresh conch caught right off the boat! It’s a truly immersive experience into Grand Cayman cuisine. If you’re looking for the island getaway of a lifetime, you came to the right place. The Residences Seven Mile Beach in Grand Cayman is dedicated to making sure your vacation is beyond your wildest dreams. Our Residences take your trip to the next level; each has multiple bedrooms, state-of-the-art kitchens, and gorgeous views. Plus, our concierge service can help plan your Grand Cayman dinner cruise or whatever other activities you’d like to enjoy. 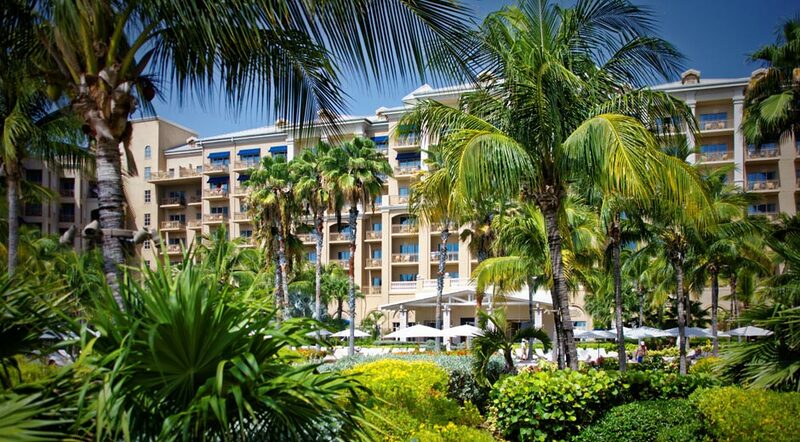 With unmatched amenities and onsite activities, there’s nowhere better to stay in Grand Cayman. Browse our Residences to start planning your stay. 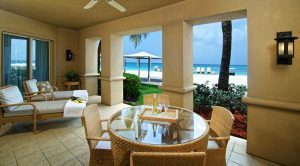 All guests of The Residences Seven Mile Beach on Grand Cayman have access to two pools, a private beach, tennis courts, and more. What are you waiting for? Book your getaway today!